Home > Outlook > What Does National Security Have to Do with Chinese Takeovers of Large Int’l Semiconductor Companies? Chinese investor Fujian Grand Chip Investment Fund (FGC) was supposed to have sealed deal between German semiconductor equipment manufacturers Aixtron on Oct. 6, 2016, but was abruptly called off by the German Economic Ministry this Monday over unspecified national security issues. FGC was to acquire a 50.1% stake in Aixtron, which was down from the initial 60% stake for a total of EUR 670 million (US $731.01 million) announced in March this year. Initially, Wall Street Journal and Reuters reports pointed out the halted acquisition was due to German Economic Minister Sigmar Gabriel increasing concern of Chinese investors’ takeovers of key technology companies crucial to the region’s development, such as the acquisition of Kuka AG, a German robotics firm was acquired by Midea Group, a Chinese white-goods firm from Foshan in August. Further reports by German media Handelsblatt on Thursday shed light of U.S. government involvement that persuaded German government representatives that Aixtron’s semiconductor equipment could be modified to make military grade products by the Chinese government. So how did an innocuous equipment manufacturer, who has been selling MOCVDs to Chinese LED manufacturers for past 30 years and cleared by the German government without trouble end up in possession of military equipment? Aixtron’s product portfolio includes MOCVDs for LEDs, which deposits vaporized LED raw materials onto silicon or sapphire substrates. 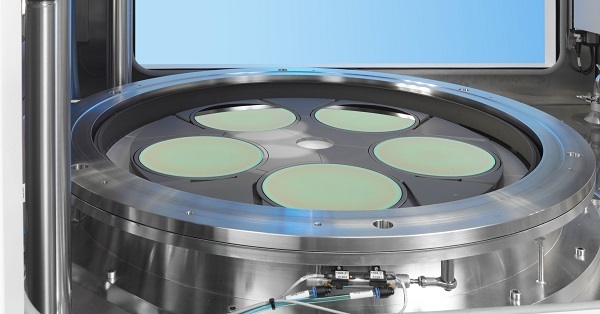 Basically this has nothing to do with military applications, but it also has equipment designed for OLED, nanotechnology, laser diodes and PV cell manufacturing applications. It is most likely other applications raised concerns, and objection against LEDs is just a cover. Although, red LEDs can be made into IR LEDs that are applied into the surveillance and night vision market applications, a Reuters report noted Aixtron does not help client design the finished product. There is also no evidence to support Aixtron has signed any defense contracts. Equipment for laser diode manufacturing was the main trigger of Washington’s alarm bells that it could be transferred to military equipment. “Most laser technology are related to military applications,” an industry source told LEDinside earlier this month. Night vision and detectors in military applications often rely on laser or infrared based technology. The U.S. also controls global industry laser standards, which would make it more defensive of other countries growing interest in this particular field and acquiring technology know-how. Based on this reasoning, there is a high probability that German authorities would approve IDG Capital Partners (IDG) absorption of Osram’s general lighting business LEDVANCE for US $400 million (US $439.58 million), since the business does not involve LED chip manufacturing, epiwafer technology or other advanced semiconductor applications. 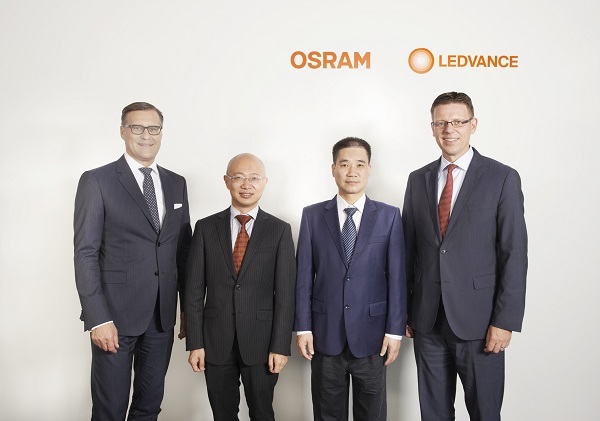 German authorities has put the business transaction of LEDVANCE to IDG on hold this Thursday for further review, one of the members of the Chinese led investment group is China’s second largest LED package manufacturer Forest Lighting. National security is traditionally defined as direct military threat to a country, but the main issue in the recent blocks of major LED company acquisitions by Chinese investors are out of governments’ indirect national security concerns centered on future economic security and semiconductor industry competitiveness. Starting in January this year, USCIS blocked Go Scale Capital acquisition of Lumileds for US $3.3 billion followed by U.S. interference in Fujian Grand Chip Investment Fund (FGC) absorption of German semiconductor equipment manufacturer Aixtron this month all indicate unease Western governments are feeling from China’s advancements in semiconductor and high tech industry. However, I’d like to argue the root cause of the terminated acquisitions is really not about LEDs being turned into military grade weapons, but out of government concerns of what China can accomplish after it collects the missing patents its semiconductor industry needs, and the potential of U.S. and EU losing one of the largest IC semiconductor export markets. 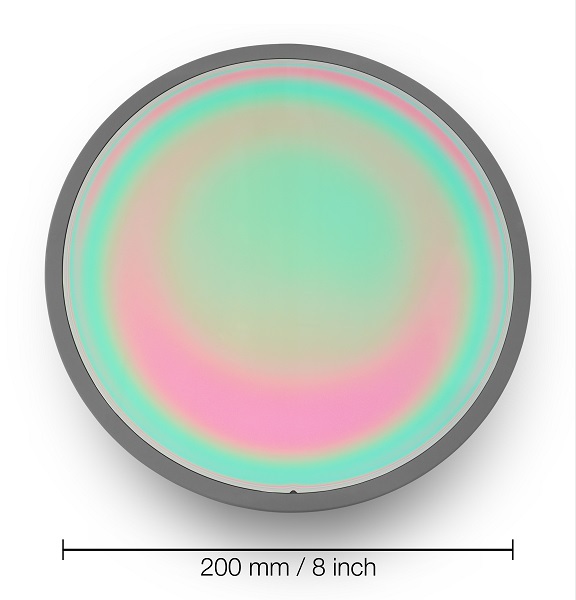 LED chips and components just happen to fall under the larger umbrella of the semiconductor industry, where technology know-hows such as GaN epiwafer designs or nanotube technology might be transferrable to making more advanced IC semiconductor and power devices for military applications. China’s advancements in the semiconductor industry also will challenge U.S. and Germany’s traditional stronghold in high-end technologies that could hurt the countries and region’s long term economic security. From a macroeconomic perspective, forecasts by the IMF in 2016 projected advanced economies, such as U.S., European countries and Japan would rise between 0.2% to 2.1%, and remain steady till 2017. A significant improvement compared to the economic crisis back in 2008, nevertheless China is expected to reach 6.0% to 6.5% economic growth during the same time period. In 2015, China remained the largest and fastest growing country markets for U.S. semiconductors and semiconductor equipment, and is projected to remain so in the near future, according to International Trade Admission’s (ITA) 2016 report. China ranked as the top export market for semiconductor exports for U.S., and has a strong growing domestic market in the world, representing 29% (US $100 billion) of the $335 billion global market in 2015. Moreover, the heavily regulated Chinese economy has always been a far cry from free market. China for instance aims to invest more than US $150 billion in the semiconductor industry in total so it can play a larger role in the global semiconductor industry, and it has been striving to bridge the gap largely through subsidizing its local industries. According to data compiled by Price Water Coopers (PWC) in 2015, the Chinese government has offered numerous tax incentives to promote the development of its semiconductor industry since its 12thFive-Year plan in 2011, which has greatly spurred the growth of IC design enterprises. Up to 2014, China was the world’s largest buyer of semiconductors, amounting to 56.6% of global consumption in 2014, which has since grown at Compound Annual Growth Rate (CAGR) of 18.8% from 2003 to 2014, compared to the global average of 6.6%, reported China Briefing. The country has been striving to bridge this gap by investing in indigenous manufacturing to achieve 40% self-sufficiency by 2020 and 70% by 2025. China has been working towards this goal by implementing aggressive strategies in the memory IC and IC design to accelerate its IC industry ambitions, and is implementing a three axis strategy seen throughout the semiconductor industry: mergers and acquisition (M&A), market power and regulation, noted ITA. Other strategies it has implemented also include regulations that bar foreign competition, or require international semiconductor companies in China to offer up their intellectual property for semiconductor components. With Chinese enterprises playing on an uneven playing field of heavy government subsidies compared to international competitors, it has been able to acquire companies with advanced technologies. U.S. has opted to take preventive measures in-line with its national defense strategy to: “Lead in Science, Technology, and Innovation Scientific discovery and technological innovation empower American leadership with a competitive edge that secures our military advantage, propels our economy, and improves the human condition.” Even if it means meddling with other countries business transactions, such as its long term ally Germany as seen in Aixtron’s halted acquisition deal. Under Nobel Economic Laureate Milton Freeman’s liberal market theory, governments played a minimal role in interfering with market mechanisms, while implementing stricter control on money supply. This has been the approach U.S. took till up to the financial crisis in 2008, but since then this kind of economic policy in general winded down. The anemic economy following the financial crisis has led countries including U.S. to implement more protectionism policies in an attempt to create new jobs at home to bolster economic growth, as seen in Barack Obama’s Made in U.S. policy announcement back in August 2010. While the idea to protect jobs from being outsourced to foreign workers, and to protect key technologies is not without merits from a national policy perspective, the downside of political interference is uncertainty in the capital market. Technology companies and their investors do not know when they will hit the invisible glass wall named “national security,” which could discourage companies from seeking foreign investors. Or the goal here by U.S. government might be to keep investments in high technology companies in the Western hemisphere, instead of having Chinese investors with deeper pockets eyeing and clinching core technologies. There is also the associated risk that when governments raise the bar for financing, companies holding key technologies are unable to optimize their value, and will have to sell at a lower price. In worse case scenarios, these tech companies might even wind up filing bankruptcy, due to funding shortages and inability to find suitable buyer or investors. In this case government interference can backfire, where the intent to protect technology industries accelerates the demise of certain underperforming companies with strong patent portfolios. Yet, with more governments becoming wary of China’s advances in the semiconductor industry it can be projected government interference will become increasingly common in multinational acquisition transactions of technology companies that involve Chinese buyers. As the international capital market becomes tougher to bypass potential government interference, large international LED manufacturers will be urged to prioritize finding investors in U.S. and Europe, consider merging with other enterprises in these regions, or consider seeking financial subsidies and support from local governments. Lumileds, the LED component business of Philips for instance, has looked West for potential investors after USCIS blocked the acquisition. Industry insiders have recommended Chinese LED companies on the other hand might have to consider acquiring second tier manufacturers, instead of first tier companies that might be met with greater objection and resistance from government agencies. To sum up, U.S. and EU are increasingly alerted by China’s advancements in the semiconductor industry and cautious about ongoing acquisitions. Future mergers between large semiconductor companies with state-backed Chinese investors will be met with more scrutiny by governments. Enterprises need to come up with better alternatives to secure finances for long term developments.